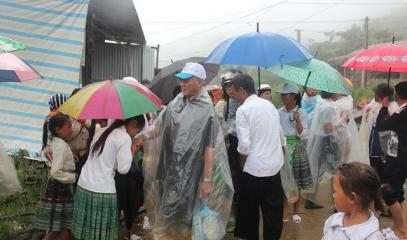 Incessant rains between 23 July and 6 August have devastated north-central Vietnam. Bridges and houses have collapsed, crops have been wiped out and livestock killed. So far, the death toll stands at 28, plus 11 missing. Small mountain communities are in a difficult situation. 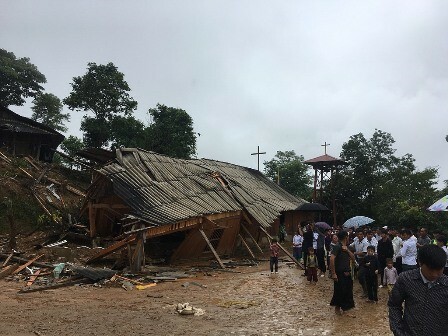 Hưng Hóa diocese has called on the faithful and religious to buy food, drinking water, medicines for Catholics and others in the affected areas. Hanoi (AsiaNews) – Floods in Vietnam have killed several people, causing serious damage to property and crops in certain regions. Some 28 people have died and 11 gone missing between 23 July and 6 August in the country’s northern and northern-central provinces. 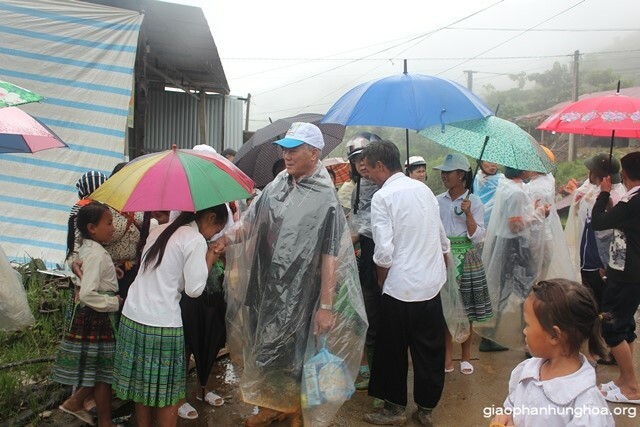 For the past month, Fr Paul Nguyễn Quốc Anh, director of the Caritas in the Diocese of Hưng Hóa, has urged Catholics, religious and laity, to help buying food, drinking water and medicines for "the victims floods and landslides. For Catholics and non-Catholics." 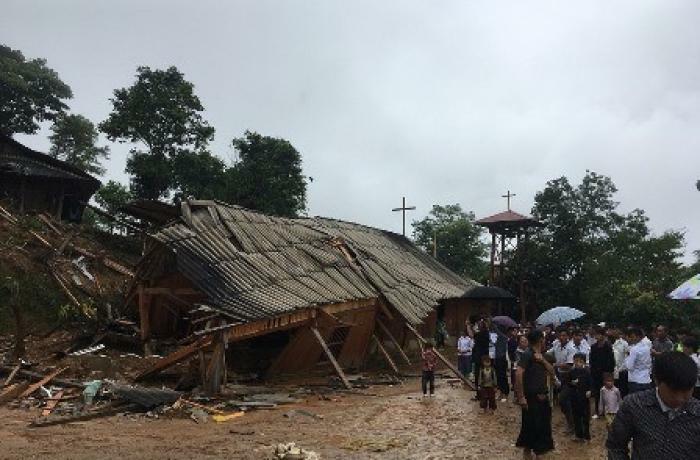 The Diocese of Hưng Hóa, which covers nine northern provinces and the city of Sơn Tây and has about 250,000 members, is one of the most affected areas. According to experts, hill deforestation and hydroelectric plants releasing water because of the rains have contributed to the disaster. Mr Hà Văn Huyên, 32, head village in Bản Tủ (Yên Bái province), notes that "this is the first time that people here live such a disaster". "At first I saw that the flow of water was very small,” Mr Huyên said. “Then, the water started flowing in waves. Five minutes later, the water rose more and more. When I saw the danger, I screamed for people to escape. After only an hour, this huge flood appeared, about ten metres high and wiped out many houses." Torrential rains have also caused serious damage to agriculture. About 2,746.5 hectares of rice and other crops have been damaged. 2,871 heads of livestock and poultry have been lost. Furthermore, 355 hectares of aquaculture have been destroyed. Hundreds of roads, bridges, sewers have been damaged. Bridges have collapsed or were carried away by the force of the water. Thunderstorms have ruined 113 irrigation works; six medium-sized dams have collapsed or been buried in mud; 79 high voltage poles are no longer usable. Mgr An Phong Nguyễn Hữu Long, auxiliary bishop of the Diocese of Hưng Hóa, visited the Catholic community of Sùng on 27 July 2018, a small mountain parish, and the missionary area of Tả Phời in Lào Cai parish, areas that are poor and remote. Speaking to residents, Catholic and others, he encouraged them to hang on. The northern province of Yên Bái was the most affected with 29 people dead or missing due to flooding. Văn Chấn suffered the most with 17 dead or missing. Very small, the district is home to around 30 families. In the Diocese of Hưng Hóa, the Sùng Đô chapel took the brunt of the flooding. The small church was built in 1999 on the slope of a mountain and belongs to the parish of Vinh Quang, Nghĩa Lộ District. Most parishioners are H'Mông.